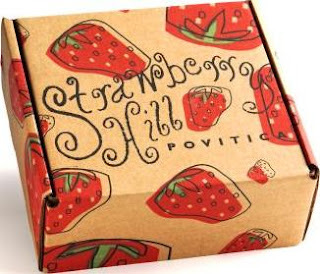 I am so thrilled to be announcing the Winners of the Strawberry Hill Povitica. By winners, I mean the company has been kind enough to give away (2) loafs to (4) different winners!! You should have your Povitica just in time for Thanksgiving to share with family and friends, or hide and enjoy all to yourself! Strawberry Hill will be shipping these direct to the winners. I must again thank Marc O'Leary from Strawberry Hill for this generous giveaway. Their product is just good old-fashioned quality of the highest kind and you will be thrilled with any Povitica ordered from their company. Povitica also makes a wonderful holiday gift for family or friends that are a distance away. I think you would really make someone's day sending them a gift from Strawberry Hill !! Congrats to the winners again and look for our next giveaway December 1st !! Thanks so much for hosting such an awesome giveaway! I am sooooo excited to have won! Can't wait to enjoy the yummy povitica!